Every parent knows that the pushchair is one of the most important purchases for them, and their bab. We were very lucky that when I was pregnant, I didn't have to actually purchase anything at all as I was kindly given a 4th-hand Bugaboo Frog - the original model in what is now the Cameleon series - and I was thrilled with it. After 4 passengers, and 2 years solid use from us, the Frog had seen better days and it was decided that we should really upgrade, especially as Ivy was going to rely on a pushchair much longer than most toddlers. There was no question in what we were going to buy and so last month, I became the proud owner of our very own first travel system, the Bugaboo Cameleon3. I don't know about you but I start to get heart palaptations everytime I have to buy anything that's over £50 so you can imagine the stress of having to spend a lot more than that on a pram, especially when it's for something you naturally become so reliant on - how do you know it's going to be worth it? Our Frog came literally everywhere with us from the moment I got Ivy home and we went for our first stroll around our street, all the way to Disneyland Paris (it was even her seat on the Eurostar) and all that came inbetween but despite it's natural wear and tear, it never let us down. The improved features on the Cam3, such as foam tyres, not air and front wheel suspension, will only have enchanced the Quality and Reliabity of the buggy and that's how I knew I wouldn't regret the money spent. You get exactly what you pay for. 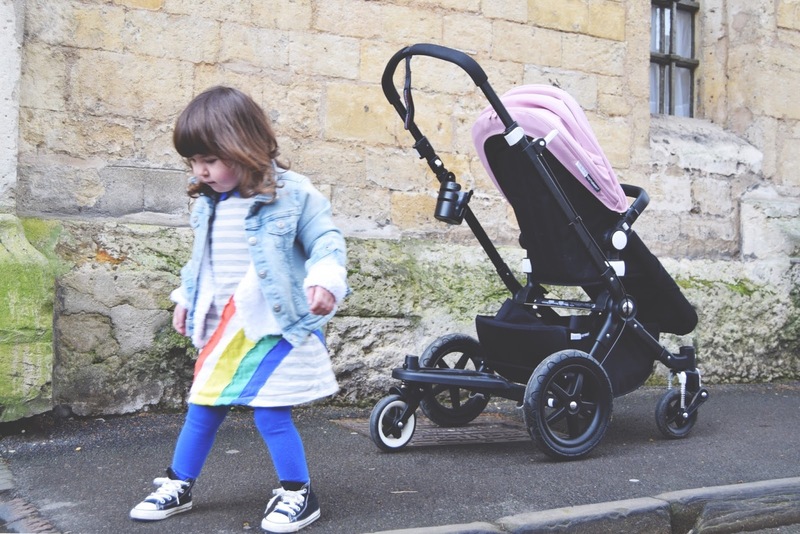 The Bugaboo Cameleon3 is designed to see your child throughout their pushchair life. Car seat adapters are available for those first few months, it is very easy to switch from the bassinet to the chair when the time is appropriate and with a max weight of 17kg and roomy seat it certainly suits all ages beautifully. As said before, we are never without our Bugaboo so most importantly, Ivy needs to feel comfortable in it, and I need to feel comfortable using it. We take long trips to London regularly counterbalanced by countryside exploring near home so our sidekick needed to be strong and versatile. 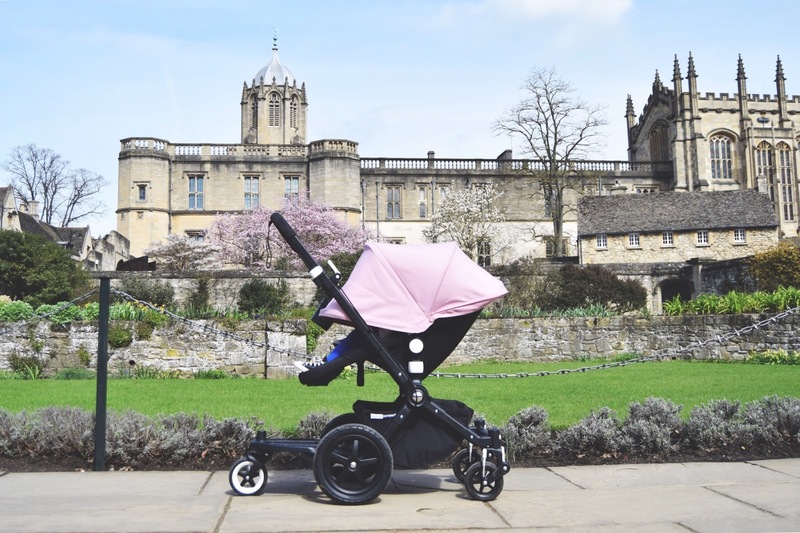 Our buggy is not just for getting from A to B though - with a child that refuses to nap in her own bed, I have relied on the Bugaboo to get her to sleep almost every single day for the last 18 months. It's during that nap that I can function as a normal adult human so it is essential that the little darling is cosy enough to sleep for a decent period of time. The 3 way recline, cushioned chair and parent facing-mode (for emotional comfort) have been essential for her in our adventures where as I have absolutely adored the updated features of the lockable swivel wheels and extendable handle bar (how did I cope without these?!). The straps in the chair have also gone from three to five and are now safer (and padded) for Ivy and the lock's now impossible for me to trap my fingers in either - it's not just the kids that need looking after. Wheeled Board - ok, we so did purchase this when we had the Frog but in order to attach it, it needed adapters which I didn't think fit all that great so held off using it until now. The Wheeled Board has completely transformed our way of travelling and has been a very welcome addition to the both of us. Ivy cannot walk long distances without getting scarily out of breath but the wheeled board allows her to travel safely and freely without her feeling like shes constantly cooped up and she can assert her own independence and set her own limits but jumping on and off as it pleases her. Extended Sun Canopy - another amazing added extra since the Frog. Unzip the canopy hood to pull it all the way down and over the buggy. Great on the 5 days it is actually sunny in Britain but also the only way I have got Ivy to sleep in previously stated 18 months. Click-In Carry Handle - this is a fab new feature for letting your older child hop in and out as they please. Unclip just one (either/or) side of the handle and the other neatly falls out of their way without having to be removed completely. Bigger Basket - Any excuse to do more shopping right? The larger basket has meant I am less likely to hang anything on the back of the buggy so the weight is better distributed equally a smoother ride for the both of us and less likely to damage the pushchair's back tyres. The coloured hoods can be easily switched and replaced - this pink one was bought early on to give the Frog a face lift and we've niftily moved over to our new sleeker, all-black chassis and saved our replacement black hood as a spare. You can also get as many or as little of the added extras as you feel you need or want (the coffee cup holder falling under my 'need' category) and using the Create Your Own process on the Bugaboo website makes it even quicker and easier to get your perfect, timeless travel system.